A classic design, recut for a new era. 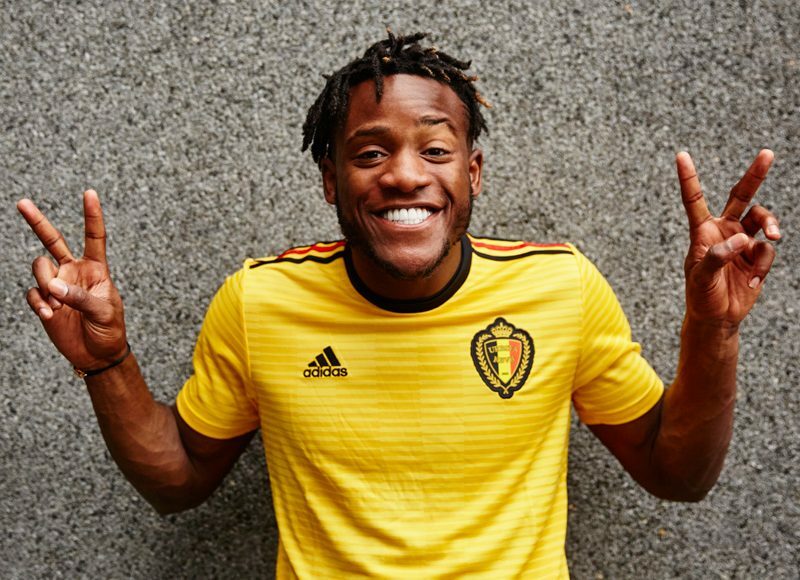 Styled after the home shirt Belgium’s current stars wear, this Belgium 2018 World Cup Adidas Home shirt takes inspiration from the diamond graphic on the team’s classic 1984 kit. The sweat-wicking shirt has a ribbed V-neck and a woven team badge on the chest. adidas is dedicated to creating products in ways that minimise their environmental impact. This jersey is made with recycled polyester to save resources and decrease emissions. A golden shirt for a country’s golden generation. 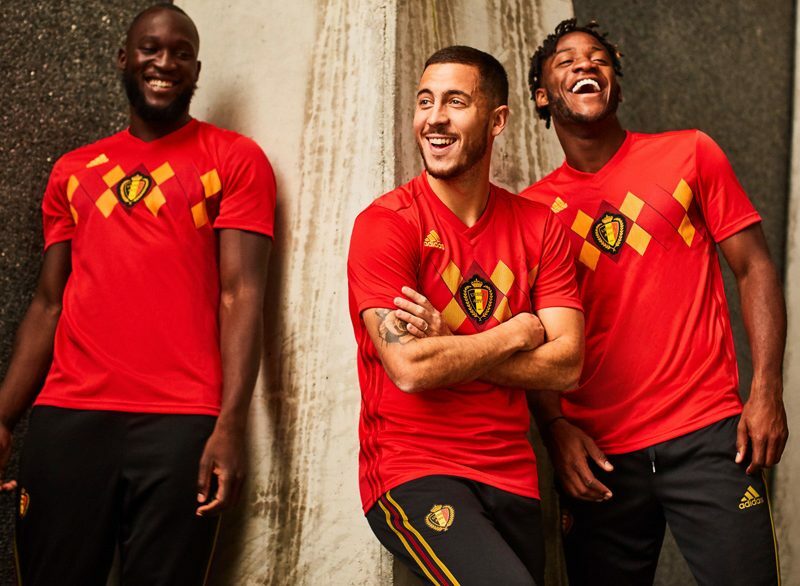 This Belgium 2018 World Cup Adidas away shirt is styled after the away shirt Belgium’s multi-talented national team wear. 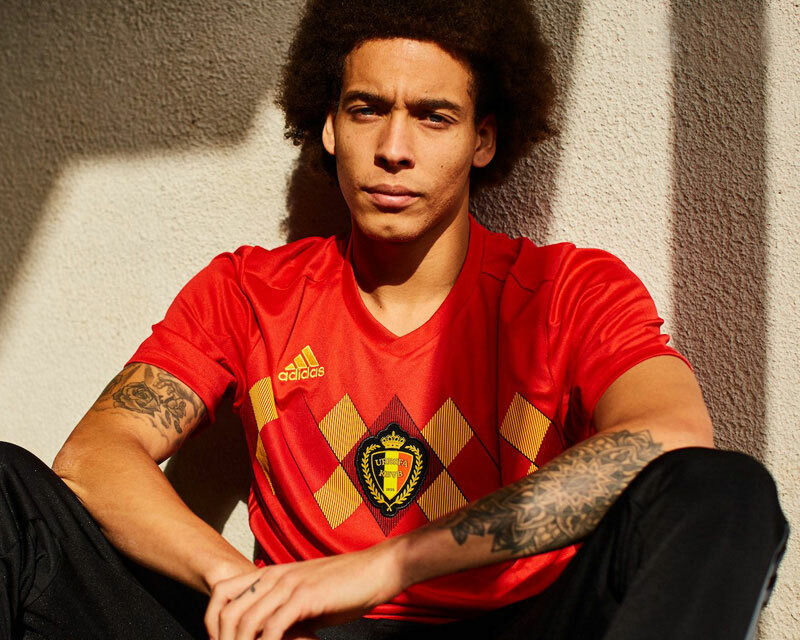 Reflecting the colours of the Belgian flag, this sweat-wicking shirt has a woven badge on its chest.